Boston is an incredible city with a rich history, a diverse population and the best restaurants on the east coast. But it is also has a thriving arts scene, and it has launched bands that are revered in most every genre, including Aerosmith, The Pixies, New Edition, The Cars, J. Geils Band, The Dropkick Murphys and James Taylor. The Delta Generators could well be their best representative of the modern blues scene. 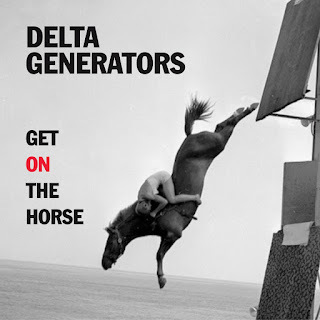 The Delta Generators were founded in 2008 and they hang with a heavy crowd, having shared the stage with Robert Cray, Three Dog Night, James Cotton, Jimmie Vaughn, The Fabulous Thunderbirds, Johnny Winter, Walter Trout, Candye Kane, Michael Burks and Sonny Landreth. Heck, Brad Whitford from Aerosmith has sat in with them before. 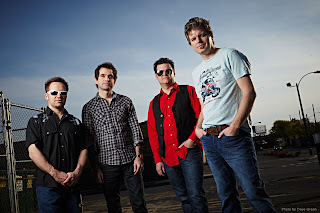 Through endless touring throughout New England and the tri-state area they have garnered their fair share of loyal fans, and it is these fans who financed their latest album through pledgemusic.com. The music for all thirteen tracks was written by the band, with Rawding penning the lyrics. They recorded this album mostly live with just a few overdubs so there is a vibrant mojo that is very hard to get with a traditional studio album. This is very apparent on track one, “Whole Lotta Whiskey” which hits hard right out of the gate with Charlie O’Neal’s driving electric slide guitar. Rawding is up front with his extra-strong vocals, and it only takes a listen or two to realize that their lyrics have improved as much as their production. This tale of two old friends who took different paths in life in life is well-told and is an omen of what the rest of the album holds in store. By the way, there is the added bonus of some tasty organ work from guest artist John Cooke on this song. No genre is taboo for the Delta Generators, and heavy English blues rock is represented by “Spider Bite” -- sort of a Deep Purple or Led Zeppelin vibe. Accompanied by heavy ride cymbal and a thunderous snare, Rawding howls the vocals while Charlie O’Neal does his best Ritchie Blackmore imitation. This is quite a contrast with ”Night of the Johnstown Flood” which is a slow blues song that memorializes this 1889 Pennsylvania disaster while drawing parallels with the biblical story of Cain and Abel. Charlie O’Neal gets to tear loose on the guitar over a foundation of John Cooke’s sublime organ work in a gorgeous interlude. This is seven minutes of incredible music, and it should not be missed. “Diablo Rock” is completely unexpected and shows that the Delta Generators have a sense of humor. This is a rocker with crunchy guitars and heavy toms that describes a night of God and the Devil drinking accompanied by a few Gary Glitter “Rock and Roll Part II” interludes. This leads straight into “Blood Sugar Baby,” a danceable funk song that features Prince-styled falsetto vocals. These guys are not reluctant to mix things up, and this album never gets dull.